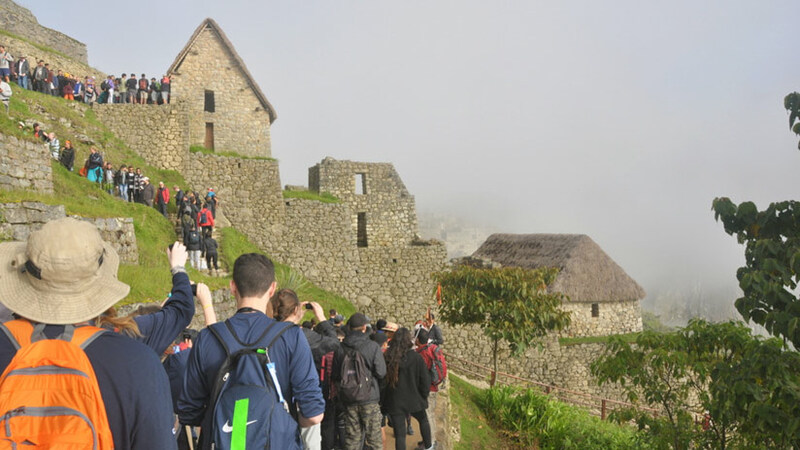 The “forgotten Inca town” Machu Picchu high up in the mountains takes everyone for an incredible journey through time. While strolling between the ancient walls with their fine masonry and gazing over the breathtaking lush scenery you can dive into the welcoming culture concentrated at the Inca citadel. Together with the ambient feeling of mystery it is an allure for travelers as well as newlyweds who wish to spend a unique Machu Picchu honeymoon. After the stressful days of wedding planning it is time to relax. What could be better than releasing stress by exploring the mysterious Machu Picchu with its tranquility, the reinvigorating natural energy and impressive presence? But what is Machu Picchu? The UNESCO World Heritage is famous for the unique Inca architecture with its perfectly fitting stones and is considered as one of the New Seven World Wonders since 2007. The Spaniards could not find the city, whose exact purpose still remains unknown, because of the hidden location which is why it is so well preserved. It has already existed almost 500 years until the US-archeologist Hiram Bingham discovered it in 1911. Immerge into the mysteries of Machu Picchu for your once-in-a-lifetime trip. 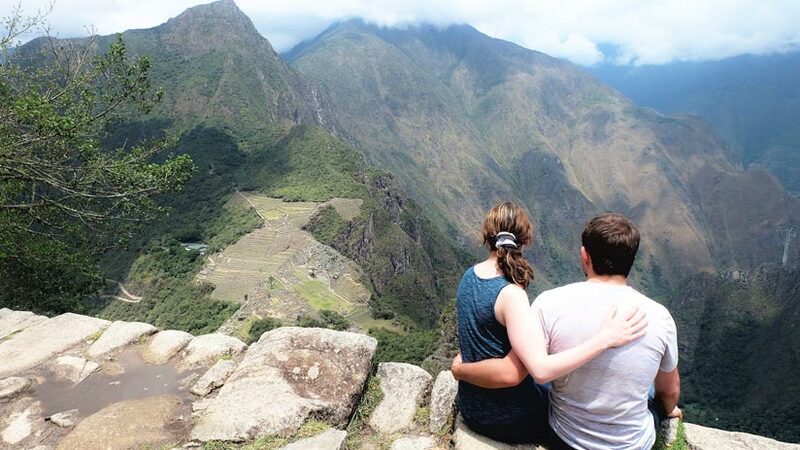 When to go on your Machu Picchu honeymoon? In the Andes, the seasons are divided in rainy and dry season. Rainy season is mainly from December to March, with its peak in January and February. You will encounter rainfalls but also less tourists which will make your trip quite enjoyable. While it can be foggy in the morning, it mostly clears up later. Dry season is from May to October. The days are sunny, nice and warm, the view is great! The nights are pretty cold, though, and with the nice weather come the hordes of visitors. The best time to visit is probably during shoulder seasons: April and November. Weather-wise you can encounter both: rain and sunshine. But: You will enjoy a pleasant visit with lesser people. Entrance tickets are limited and sell out quicker or slower depending on the season. The first destination where you need to go is Cusco, a small city in the Andes and worth exploring itself. Flights to Peru usually have a stopover in the nations’ capital Lima first before the connecting flight will take you to Cusco. There are selected flights from few destinations (for example Bogotá in Colombia) that will take you directly there. 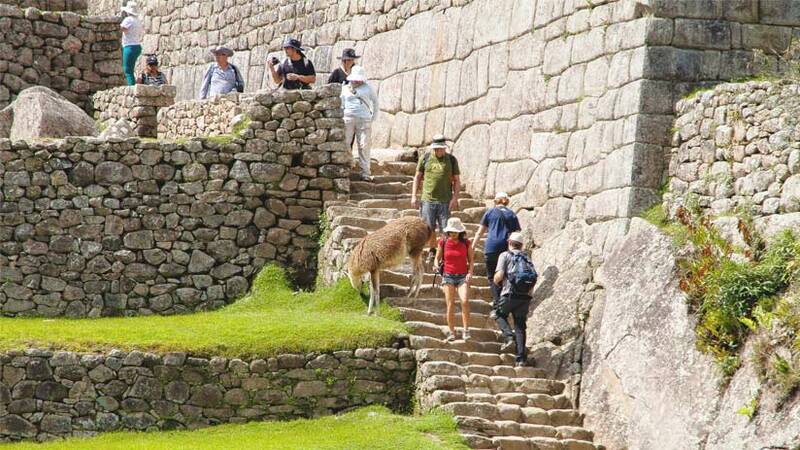 Once there you have different options for your trip to Machu Picchu. Most packages start in the Sacred Valley. 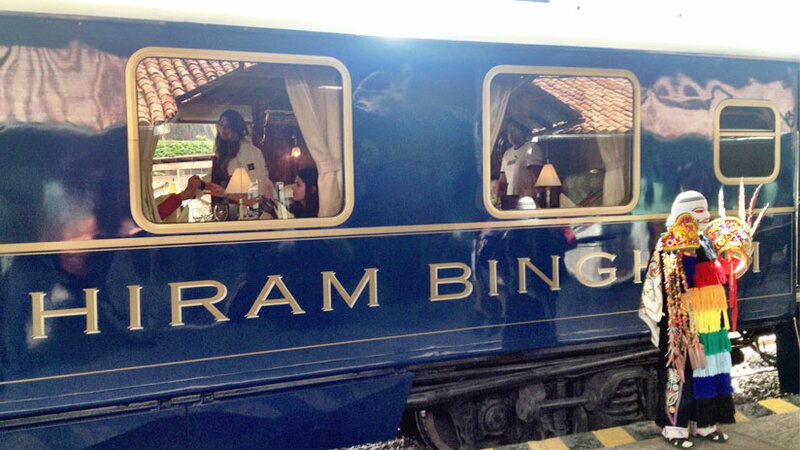 You can either go by train to Aguas Calientes, the lovely town at Machu Picchu, with the option to take the ultimate luxury Hiram Bingham train for a special honeymoon experience. Or for every hiking-enthusiastic newlyweds, there are multi-day hikes that will take you there. Among the most famous one is the Inca Trail where you can walk along the original Inca Trail with final destination Machu Picchu. Before your arrival in Aguas Calientes take a few days to wander around the city of Cusco. The cobblestone-alley filled city with its special charm is definitely worth exploring. 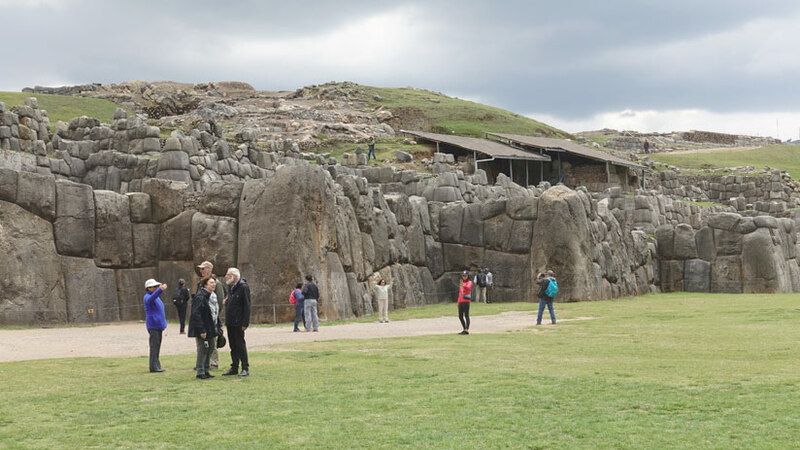 It is surrounded with numerous ancient Inca sites, such as the complex Sacsayhuaman on top of the Cusco hills or the Temple of the Sun Qoricancha in the city center. Once you have arrived in Aguas Calientes there are plenty of hotels that are happy to be at your service for your honeymoon. 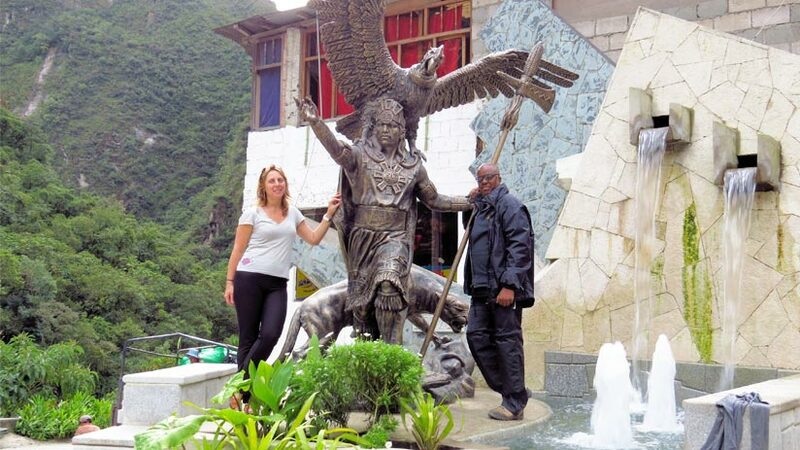 For example, the Tierra Viva Machu Picchu or the Inkaterra Machu Picchu Pueblo Hotel with great customer service, high-class accommodations and assistance, that are experienced with organizing honeymoons for couples. If you want to stroll through the city you will find a lot of restaurants and bars where you can enjoy your free time. Or you can visit the Aguas Calientes hot springs, natural hot tubs only a short walk away from the city and perfect to rest and loosen up a bit on your vacation. It is also said that the hot springs can cure you from any pain you might have. During your visit at Machu Picchu you will not only have the chance to be mystified by the fascinating sanctuary, but you can extend your experience by hiking the surrounding mountains for an incredible view. One of them is Machu Picchu Mountain, the “older” brother of Huayna Picchu, which is the most popular hike you can do there. However, the vista from Machu Picchu Mountain is absolutely stunning, from a birds-eye view capture the whole Inca site with its surroundings and enjoy the soothing and serene energy. Please note that you do need an extra entrance ticket for this extra hike. 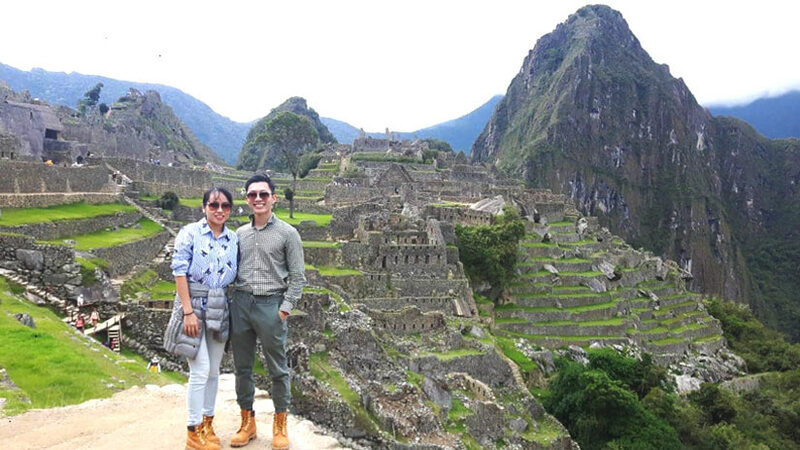 What do you think about a Machu Picchu honeymoon? Treat yourself with a romantic, reinvigorating and incomparable journey to start your new life together! Travel To Machu Picchu machu picchu, romantic. permalink.